Us Dinnergeddon gals had both heard rave reviews of Tayyabs so were expecting great things, and it certainly didn’t disappoint. We had been told to expect to queue for a table, but as it was a cold, wet Friday evening in early 2014 when we visited we didn’t take this too seriously. But when we entered, the busy, vibrant atmosphere hit us and we were greeted by quite a queue of people waiting to get some tasty, warm grub inside them. We made ourselves known to the proprietor, stood in queue and decided that now was perfect time to crack open the BYO Kronenbourg. The queue moved surprisingly quickly and we were seated within 5-10 mins (we may have possibly queue jumped, although we later learnt that the place is massive and spread over 3 floors). 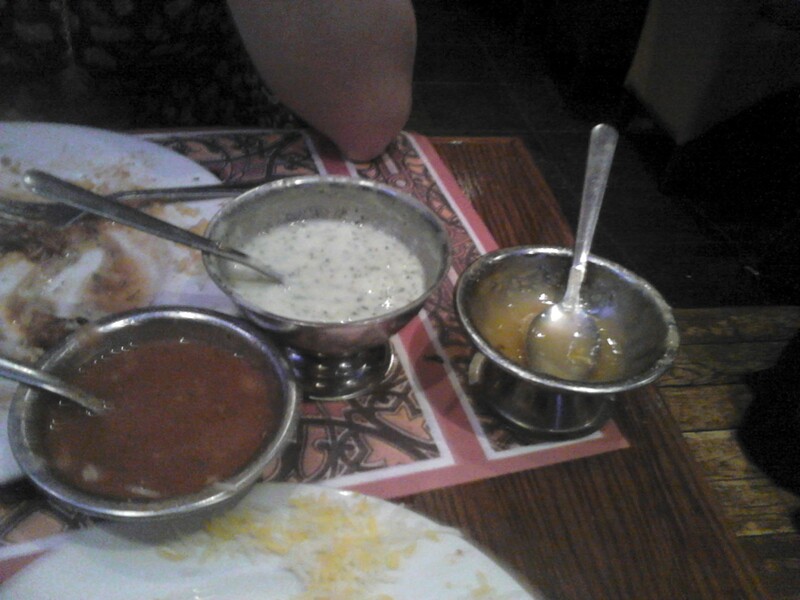 As soon as we were sat down we were brought (what we thought were free) poppadums and dips (turns out they weren’t free. THE CHEEK!!!). The were nice though, especially the mango chutney. When it came to the mains there was quite a selection, particularly for vegetarians – yay! 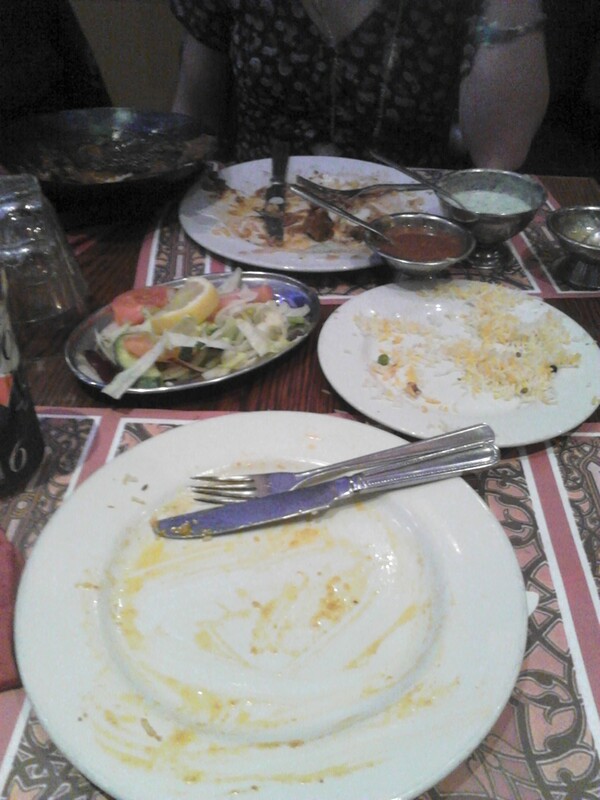 We struggled to decide what to have but eventually settled on the pumpkin masala and Kahari chicken, and palau rice, tandoori roti and garlic naan to share. We were both quite surprised that there was only one rice on offer, odd. 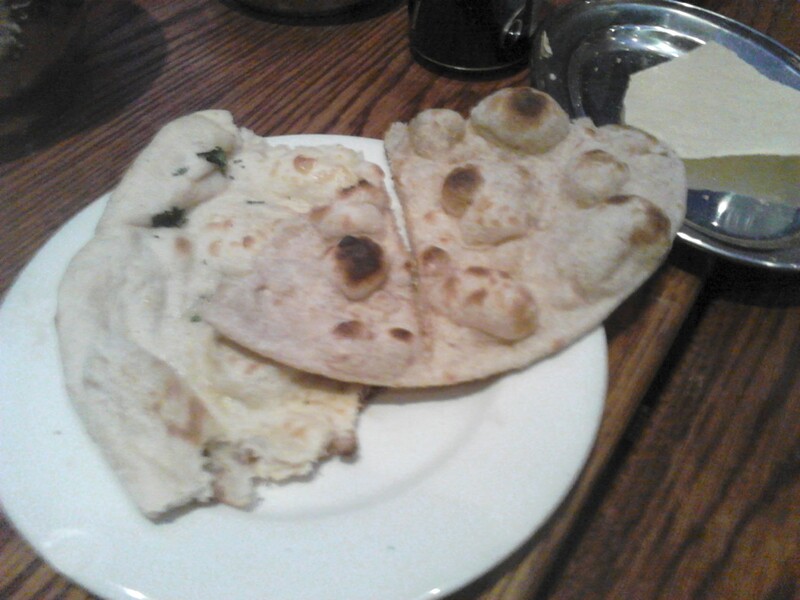 Tayyabs has an open kitchen (always a nice touch), and from where we were sat we could see the chefs hard at work. The food is freshly cooked and comes out sizzling hot. Plates piled high with various meats seem to be the speciality. They were pasing by our heads all evening! Anyway, back to our food… There was so much of it! 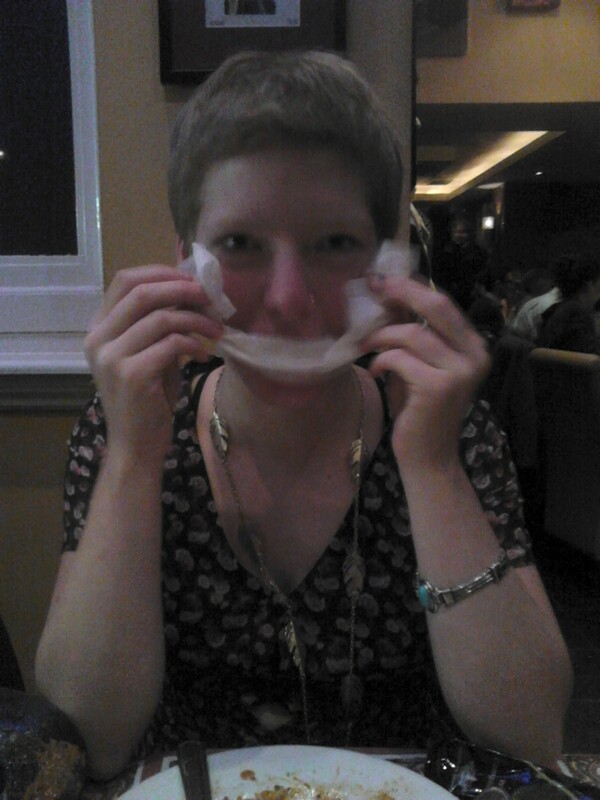 Ruth thought that her Kahari chicken was really good. Lots of chicken in a rich sauce, but not too hot. It was just right. The pumpkin in my pumpkin masala didn’t really taste like pumpkin, but was nicely spicy. The breads disappointed though. They tasted the same, both quite bland. The restaurant was quite busy when we were there, and despite there being lots of staff around we felt like the customer service was slightly lacking some politeness. We didn’t feel that the busyness should excuse this, it’s probably always busy! Food 9/10, environment 9/10, service 7/10. This entry was posted in Uncategorized and tagged Dining, Dinnergeddon, Eating out, Food, London, Pakistan, restaurants, Tayyabs, Whitechapel by dinnergeddon. Bookmark the permalink.